eals to the creative consumerâ€”a group of cultural influencers who mix fashion must-haves with timeless classics. Their brand represents a distinctly urban-casual point of view, best defined as a sophisticated play of opposites: mixing vintage with new, hard with soft and eclectic with minimal. 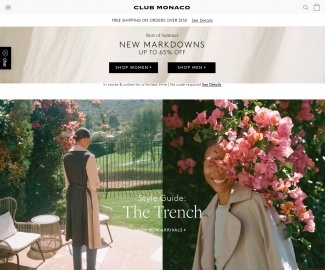 Click a Coupon or click Start Shopping to earn 4% Cash Back at Club Monaco.